Installing a vehicle tracking or asset tracking device has never been as important as it is today. Partnering with CBS automotive in Cambridge could not be easier. It is essential, particularly in the current climate, that companies, as well as individuals, can effectively track vehicles. This can be for various reasons, such as a reduction in vehicle insurance, driver behaviour mentoring or security of goods, staff and vehicles. By installing a vehicle tracking system you can get up to date, detailed vehicle information 24/7, 365 days a year. Also, with theft of plant and agricultural equipment on the rise across the UK, there's never been a better time to get protected and track your expensive company assets. Whether you are in Cambridge, Huntingdon, Ely, Bury St Edmunds or as far south as Stansted, CBS vehicle tracking consultants will be able to advise you on the most suitable tracking installs for your business. Stay protected from 'crash for cash' fraud. We provide businesses with a full range of vehicle camera options and integrated camera telematics solutions. Whether it's forward or rear-view dash cams for a fleet of cars or multi-cam solutions to increase visibility around HGVs, we've got you covered. In addition to full HD video and audio, our RoadHawk cameras are able to capture GPS and G-Force data which integrates to form irrefutable evidence against fraudulent claims. Reduce fuel consumption by quickly calculating your delivery schedule with the lowest cumulative mileage and with the least amount of vehicles. Route planning is a crucial part of the fleet management process and with the right tools, you can save hours in manual planning. Our software includes both route optimisation and route scheduling software which empower you to calculate the most efficient use of your fleet in just a matter of minutes. Would you know how the performance of your drivers is impacting on your fleet's fuel consumption? With driver behaviour monitoring from Trakm8, your business can gain insight into costly driving styles. In addition to fuel consumption, driver behaviour monitoring can help to eradicate dangerous driving styles that can affect fleet safety and reputational damage. We understand that your Operator's Licence is the lifeblood of your business. We also know that tachograph monitoring and license checking can be an immensely laborious process. This is why we provide hauliers with a fully automated tachograph analysis solution which enables operators to view driver hours and vehicle usage. Any infringements of DVSA regulations are immediately highlighted ensuring that your fleet remains compliant at all times. 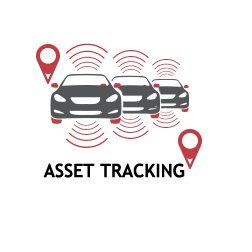 It isn't just regular vehicles that can benefit from the power of telematics. Our asset tracking solutions can be fitted directly on behalf of manufacturers and also work with construction plant, motorised cleaning products, power generation, and agricultural machinery. 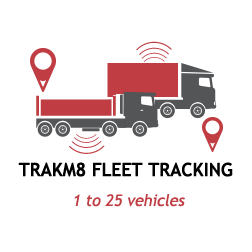 Trailer tracking telematics is crucial for hauliers. Missing trailers and poor trailer to tractor ratios can have a huge impact on potential revenues so having full visibility of your assets is imperative for providing an efficient service to your customers. Road traffic accidents happen. Although we can significantly reduce the risk of your fleet vehicles being involved in a collision, we cannot prevent it entirely. In the event of an accident, our intricate First Notification of Loss (FNOL) and crash data enables fleet managers to understand the events surrounding a collision and also allows you to make the relevant plans to prevent disruption to your daily operations. Predict when specific vehicle components will fail with preventive maintenance telematics. Vehicle downtime the loss of productivity that arises from it can result in in scheduled plans being hampered or cancelled completely. This is why our telematics solutions give fleet managers the opportunity to carry out predictive maintenance by accessing real time vehicle diagnostics. If you are based in Cambridge, Huntington, Ely, Soham, Newmarket, or within Cambridgeshire and are looking for a tracking system that really does deliver results, then CBS Cambridge are offering the perfect vehicle tracking solution for you.